Leading the prefabricated structure industry since 1989, Prefabrik Yapı A.Ş. delivers its container varieties produced according to international standards to anywhere around the world. Containers are used for many functions in various fields, and often preferred as light structure materials. Prefabricated materials such as sheets, steel profile are preferred instead of traditional construction materials such as brick and cement in the production of container structures, offering easy and flexible solutions for users. Short production time, practical transportation, long service life, predictable pricing options and versatile use are some of the main advantages of container structures. 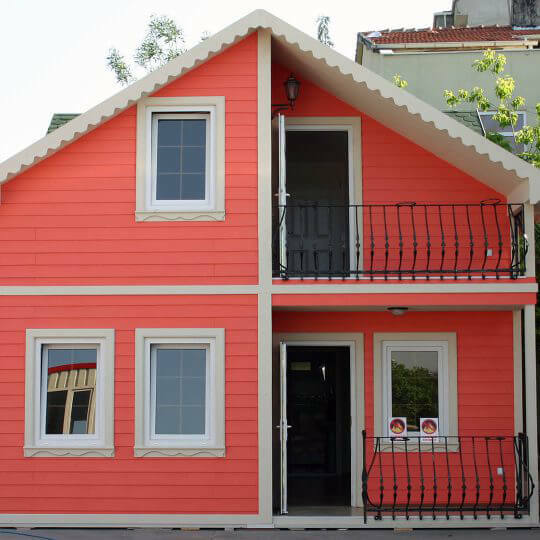 Prefabrik Yapı A.Ş. ; builds light structures where people can live in safety and comfort, and realizes user friendly life spaces with its experience in the field, innovative production infrastructure and long life materials. How Many Types of Containers Are There for Life Spaces? It is possible to produce functional and versatile containers using monoblock, demounted, expanding, folding and combination container production methods. 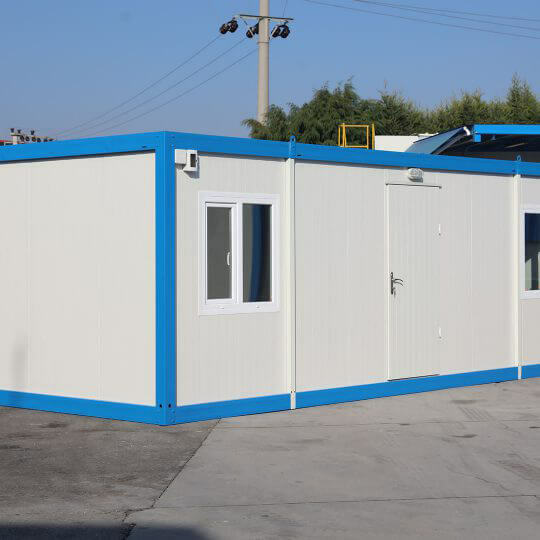 Monoblock containers which enable designing of modern accommodation and life spaces can be selected from standard 2.40 x 6.00 m (14.4 m²) and 3.00×7.00 m (21 m²) dimensioned models. Monoblock containers can be built horizontally side by side or vertically on top of each other using fitting methods. Thus, very large and useful structures can be prepared in short times. Demounted and new generation container types produced with expanding-folding production systems bring a distinct touch and modern structure features to life spaces. What Are The General Areas of Use for Life Containers? Container models both prepared in monoblock sets and developed using demounted panels can be preferred depending on the various areas of use. 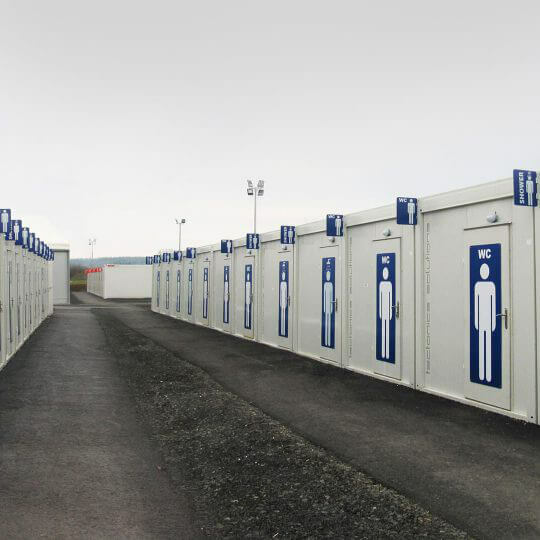 Container types which enable extra life spaces for educational institutions, companies, construction sites, public agencies and private organizations can be used for different functions such as WC, bathroom, storage, workshop, dining hall, dorm, hobby house, security cabin, office and construction site rooms. Light structures produced in accordance with safety, insulation and hygiene regulations and designed according to international standards are resistant to earthquakes and severe climate conditions. 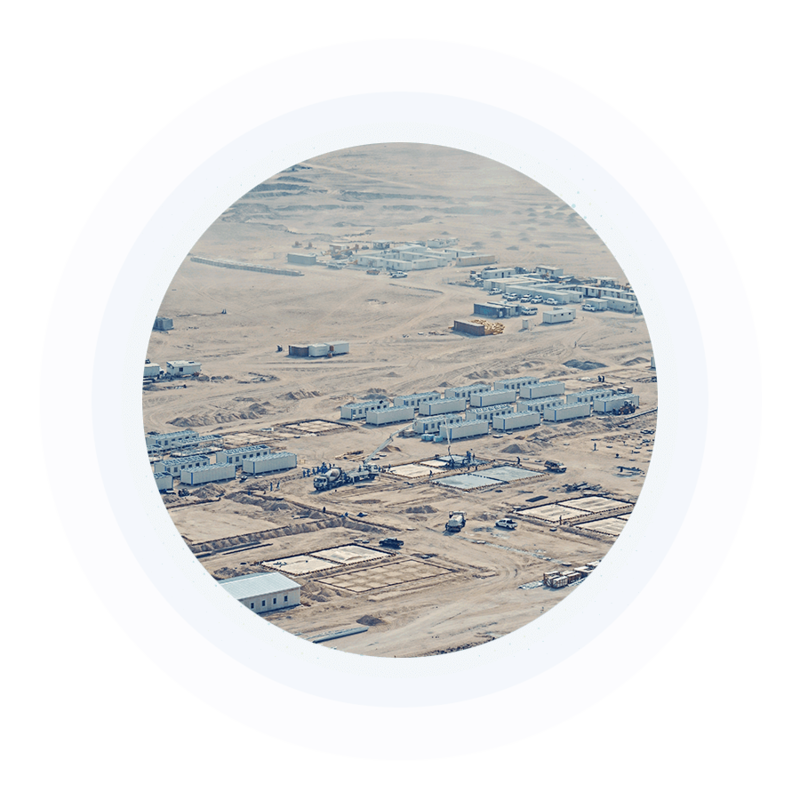 Modular structures produced in various dimensions can be easily furnished with electric, water and sewage systems as well as air conditioning systems. Some products or industries are named after certain brands. They initiate, develop and continue. Founded in 1989, Prefabrik Yapı A.Ş. is a company that is named after the industry, and introduced many innovations with its business and production brands. 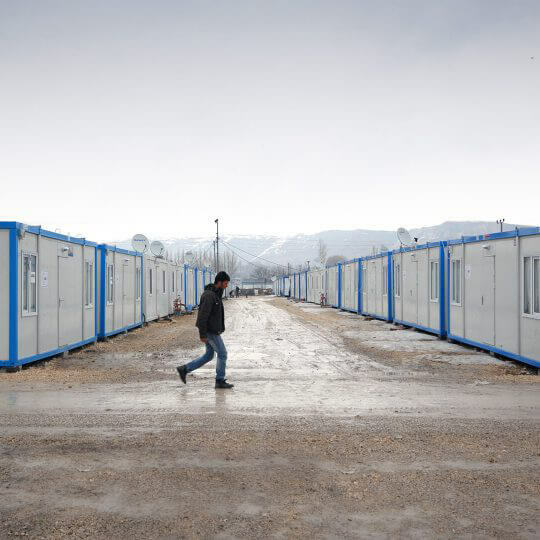 Monoblock containers which are manufactured according to hygiene and health dreictives and designed taking work place arrangements into consideration; enable delivery of life spaces for use in the shortest possible time. Monoblock container types specifically developed according to intended use offer versatile options for different areas of use. After completion of monoblock container production, they are directly shipped to field of use. 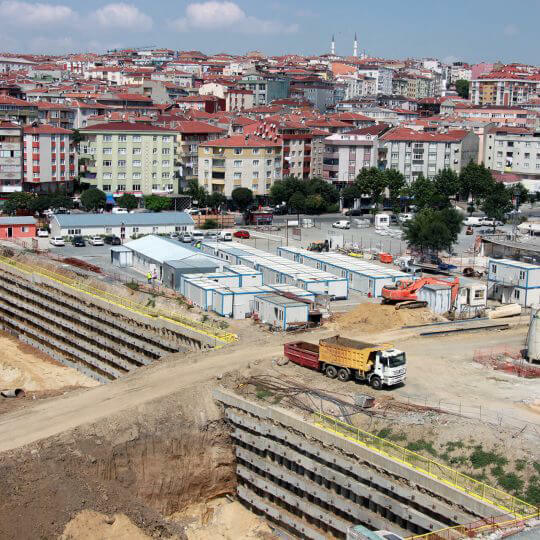 One of the experienced companies of structure and construction industry, Prefabrik Yapı A.Ş. assists users in installation works, individual space planning and structure equipment support. What are The Specifications of Container Models? Monoblock containers which can be produced as panel container stand out with their superior insulation charactersitics, robust body structure and spacious volumes. Monoblock containers are produced in standard sizes of 2,40 x 6,00 m or 3,00 x 7,00 m, and offers suitable solutions. Classical container types projected on light steel frame system are built on first class galvanized structure steel, completely non-welded joints and main columns ensuring superior durability. Thus, it is suitable for both single storey structures and double or three storey structures. Sandwich panel container models where sheet and PET main materials are combined are great alternatives to create daily life spaces. 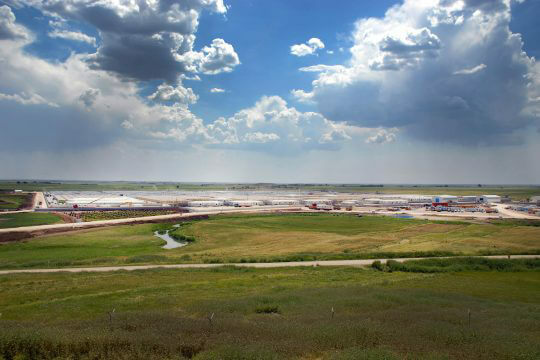 Where Can Monoblock Contaiers Be Used? 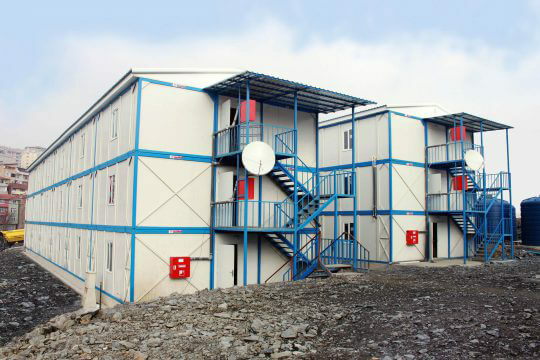 Monoblock containers are the foundation of prefabricated structures, and can be comfortly used in almost all fields. 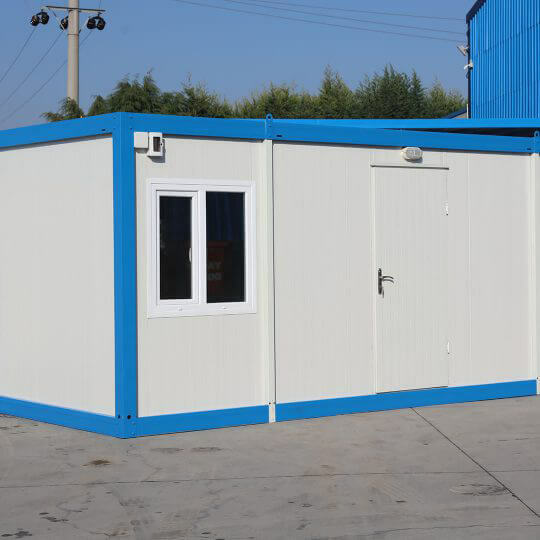 Monoblock structures produced in single container form can be used in variety of functions such as hobby/craft house, bathroom, toilet, watchguard booth, workshop, box office, changing room, warehouse and construction site room. Panel systems which can also be produced with extra insulation can be re-arranged to adapt different climate conditions. 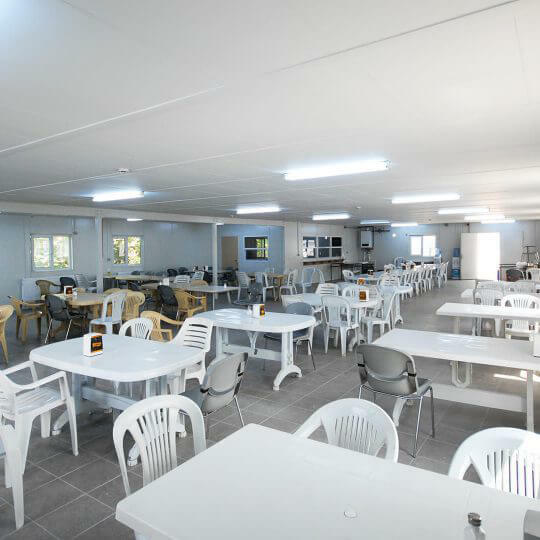 Prefabricated structures enable useful life spaces within construction and other structure areas, and they can be configured according to requirements, equipped with necessary comfort furnishings for a peaceful working environment. Furnishings such as electric sockets, lights, air conditioner, toilet, wash sink, plumbing, changing and WC cabin, doort, window and ventilation systems. 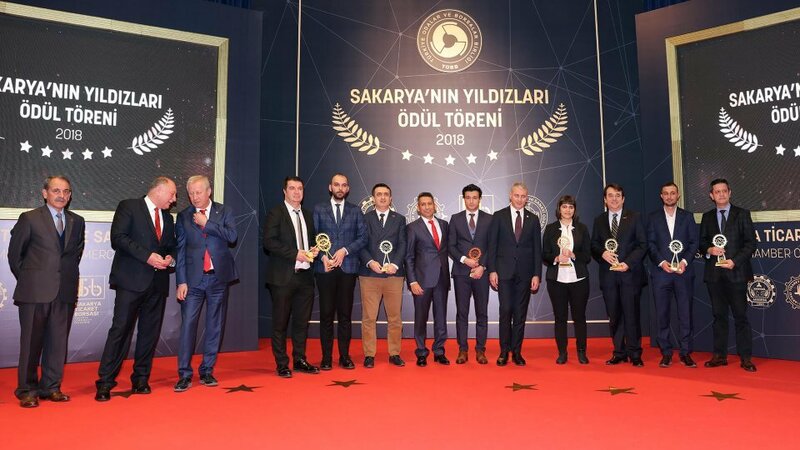 One of the pioneers of prefabricated structure industry and exporting to hundreds of countries in 6 continents, Prefabrik Yapı A.Ş. Offers innovative solutions to its customers with its high production capacity, new generation production technologies and long life structure materials. Demountable container models which stand out with structure options specific to life spaces can be custom designed to user needs and expectations. Transportation advantage, design variety, ergonomic use and flexible dimensioning options are the attractive features of demountable containers. Only two monoblock containers can be loaded on a single truck while 10 demounted container (may depend on container size and model) can be easily shipped on the same truck. What Are the Demounted Container Types? There are container types that are manufactured in demounted form and mounted at installation site. 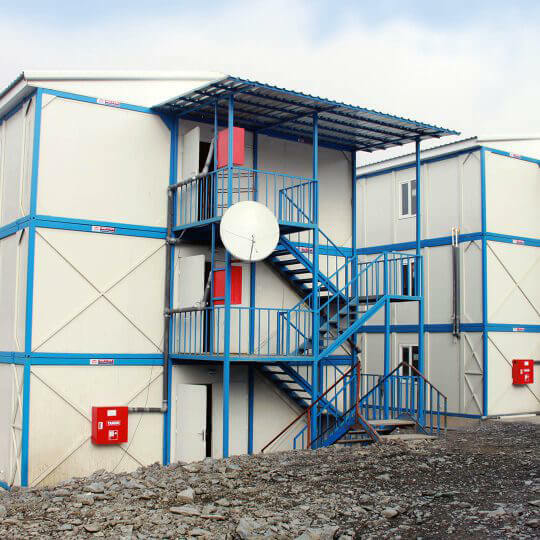 You can have the structure type you wish with Flatpack, Flatpack-Plus and independent profile system demounted container production choices offered by Prefabrik Yapı. Flatpack container systems are constituted of upper frame, bottom frame, load bearing beams and sandwich panels. Each piece is designed to complement each other, and packed accordingly. Once the door, window, insulation materials, fittings and other accessories are attached to flatpack container, structure takes its final form. Flatpack-Plus container models bottom and upper frames are produced ready for use. Columns and panels are attached to the frame for quick installation. 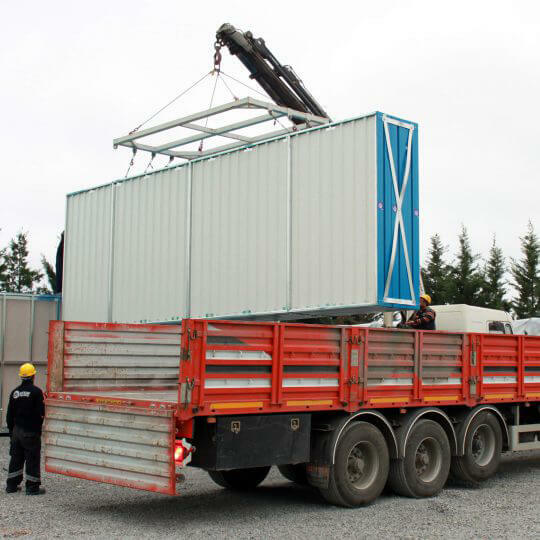 On the other hand, steel profile containers where classic container model is prepared in demounted form are transported in parts and almost entire installation is carried out on site. What Are The Main Advantages of Demounted Container Models? Light and strong steel demounted structures have superior resistance against winds, storms, snow, hail, rain and other factors. Quickly and easily installed demounted containers enable you to save on time, workmanship and transportation. Multipe modular container panels can be easily attached in vertical and horizontal position. Demounted container types produced with flexible combination options allows you to freely organize life spaces. 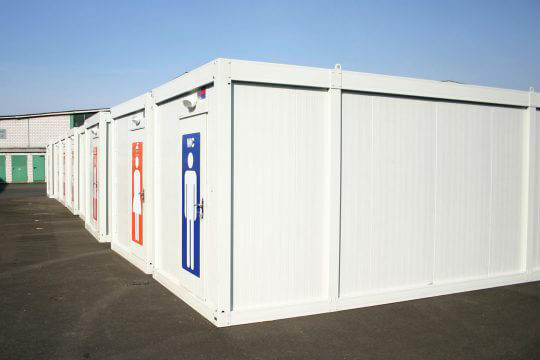 Demounted containers allowing horizontal, vertical and transversal construction are suitable for different life spaces such as; hotel, restaurant, camp, office, villa, hobby garden, toilet, bathroom, changing room, store and workshop. Custom design opportunities offered by demounted containers enable speacial designs. 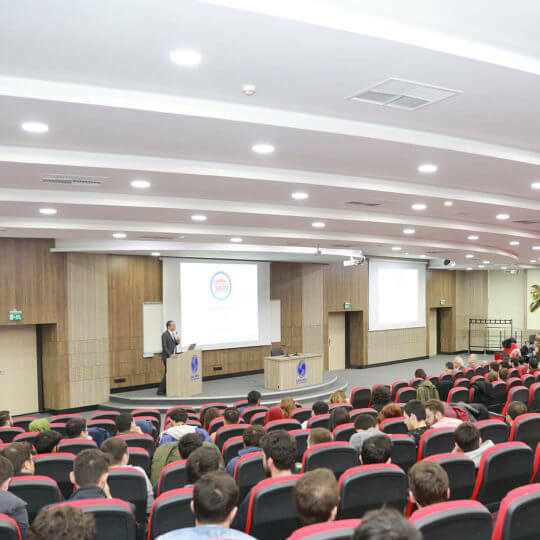 One of the pioneers of prefabricated structure industry, Prefabrik Yapı A.Ş. which is a part of Hekim Holding organization; fully meets user expectations with its high production capability, production plant conforming to international standards as well as innovative working methods. 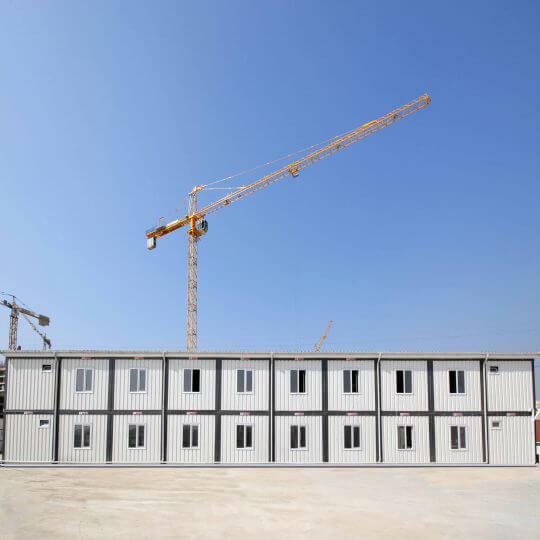 Long life monoblock container models which can be easily included within structure, construction sites and other life spaces bring flexible solutions to prefabricated structure requirements. Combined container types designed with two or more standard monoblock containers one of the ideal methods that can be chosen to create safe, wide, useful and large-scale container structures. How Are Combination Containers Installed? 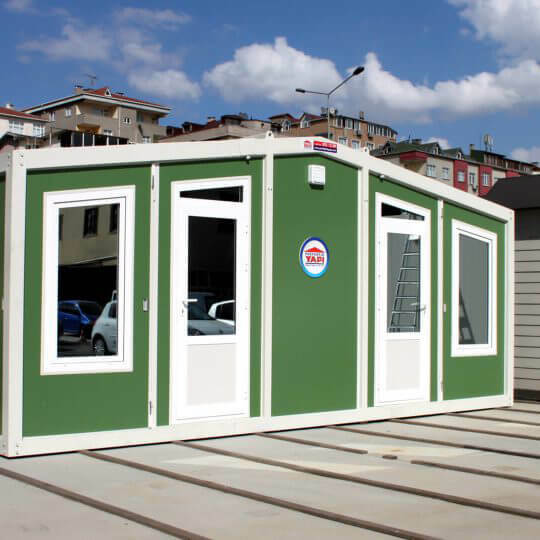 Offering several options for planning and construction of container based buildings, Prefabrik Yapı A.Ş. always assists its customers in building ideal life spaces for intended use. Combined containers which successfully meet anticipated standards for static performance, fire, insulation and noise prevention are designed according to customer demands and completely produced at the factory. Combination panels produced in monoblock sets are combined and attached on site.Combination containers can be placed on top of each other up to 3 storeys or attached side by side in single storey form. Sandwich type panels in which sheet and insulation materials are nested in each other are preferred in single, double and three storey structures. Where Can Combination Container Models Be Used? 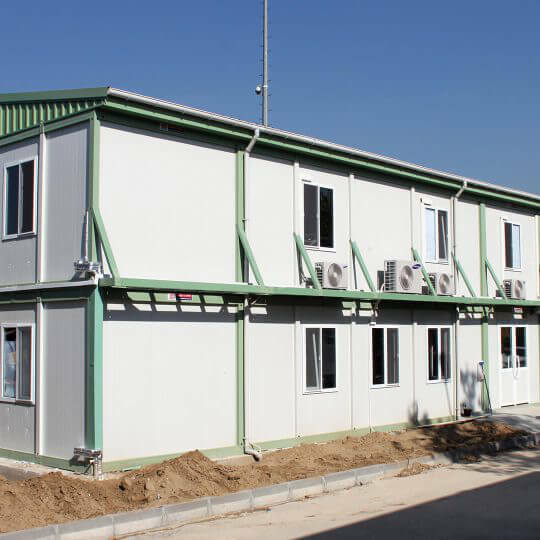 A wide range of single or multi storey life spaces such as office, dining hall, dorm, recreational facility, canteen, WC cabins, changing cabins and emergency shelter units can be realized using combination containers. 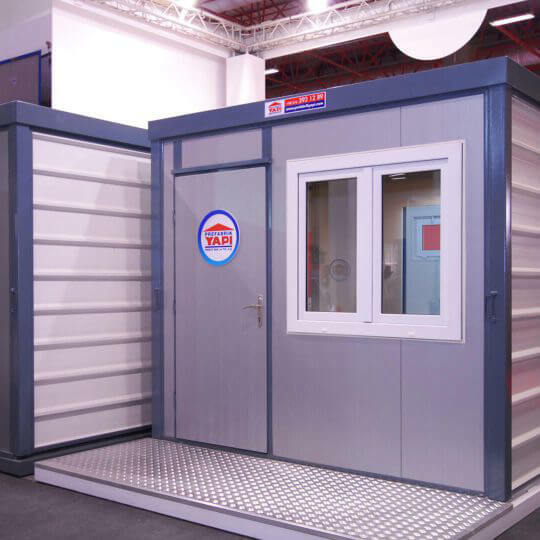 Double storey or three storey container Combination containers can be designed in single room form or larger life spaces can be created by combining multiple containers side by side. 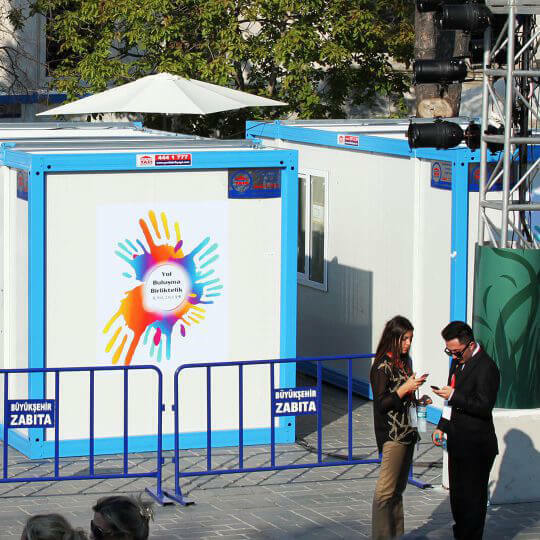 Additionally, containers can be partitioned using cabins for effective use of the available space. Containers can be designed in custom colors, dimensions and forms. By Numbers Prefabrik Yapı A.Ş. Contact Form Let Us Call You Fill out the following form and submit to us. Our customer representative will contact you.